Skiing is certainly assumed for skiing in the mountains. It is not so important, on the course or without a course. 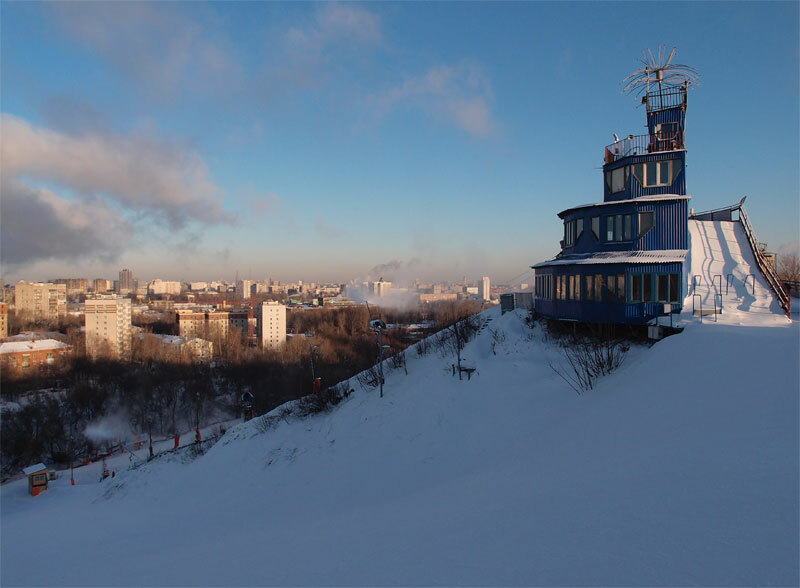 Skiing from small hills (for example, in Moscow) is mainly aimed to learning or training. But after you’ve learned to ski so that you can ride in the mountains, regular free skiing in Moscow generally loses this reason. The slalom course can motivate. 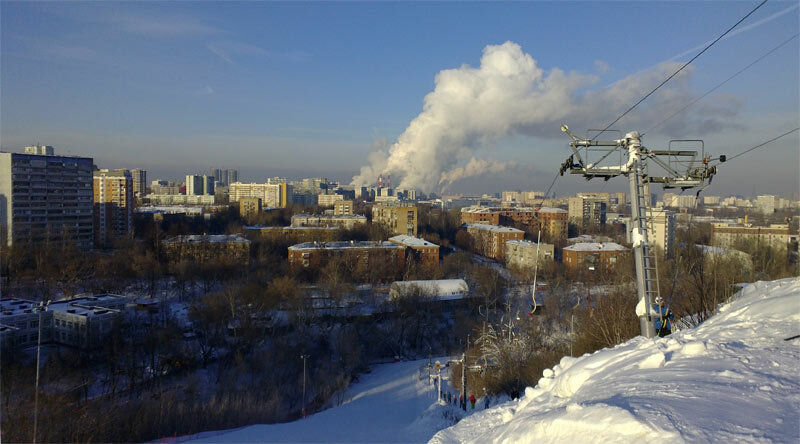 When I had the opportunity to become an amateur sportsman and regularly ski on slalom course, the free-skiing trainings in Moscow ended (except of skiing with the family, of course). But in the past three seasons, it was possible to allocate time for free-skiing trainings in addition to training on the course. 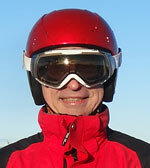 Therefore, I want to formulate what is better to train separately in free skiing and then transfer to the course. When it became possible to allocate additional days for free skiing, I first filled them with exercises. That is, skiing on the course and without a course did not seem to intersect, different approaches were worked out. But gradually there was a “saturation” of the exercises, and instead it was nice to find the relationship. Speed when riding along the course is much higher. This is especially noticeable on the giant slalom. 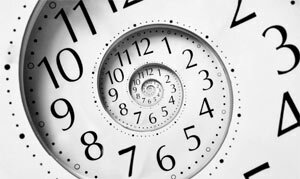 It is most likely connected with psychology, on the course you go on a predictable trajectory, without a course you go so that in case of what you could stop suddenly. These two trends determine the noticeable difference in speed. On the course you turn more often and steeper. The number of turns for same descent during free skiing is usually less. You can work on it, but if you do not focus, then in a free descent you go more directly and turn less often. Without a course, it is much easier to “write” arcs. The main difference is that on the course you need to go on a given trajectory, which needs to be built and correct “on the fly.” And this trajectory sometimes can be so stiff that you can not get through on the current level of technique. 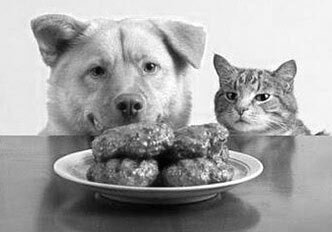 Then have to show all sorts of “miracles” (and in good, and in a bad meanings). In a free skiing you do not go to such limits. 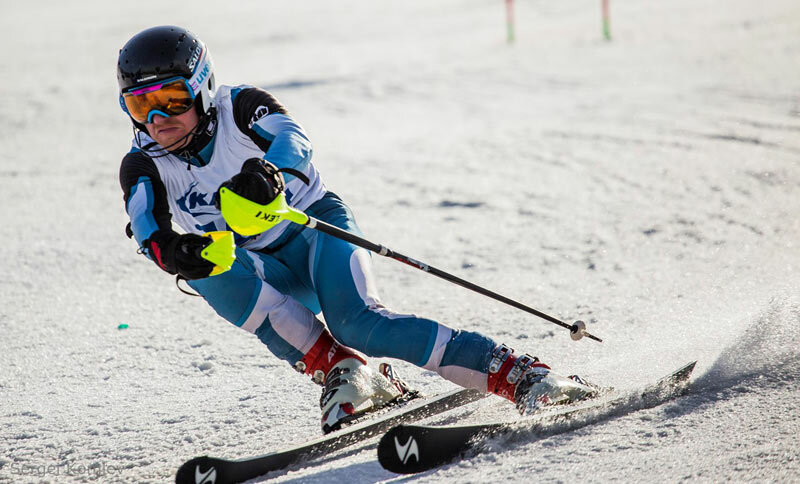 (More on these points here: Slalom, training of adults and here: Slalom, work on technique in the season 2016. Trajectory). 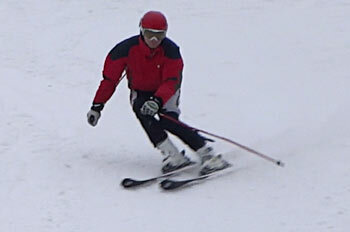 In free skiing, you need to constantly work on the cut turn (for more details see: Slalom, work on the technique in the 2017 season. Shorten the arc). But without the illusion that you will be able to transfer it to the course. 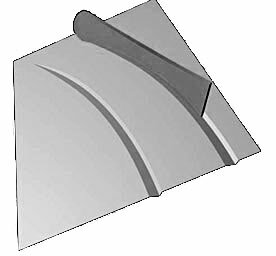 In the course, at best, it will be possible to use only a piece of such a cut arc, and which one is not known in advance. Therefore, these “pieces” should be worked out to automatism on the principle of “playing the passage from any note”. 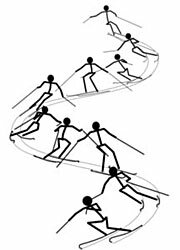 In free skiing you need to try to tighten the arcs and get to the overloads, comparable with the overloads in the course. It is not as simple as it seems, because it is more dangerous than in the course. The dynamics of the movements in the turns is different. In free descents you tend to constant pressure on skis, and in a course to impulse loading up to jumps. Therefore, you need to maintain the middle. In free descents, try to move more dynamically than you want, and in the course more smoother. The installation of the offset of the bindings should be for riding along the course (for more details see: Shifting ski bindings forward or backward). It may be that in the course the turns are normal, and in free skating, the skis are transversely up to the sensation of a sharp stop. So you should try to build such an arc in a free descent, so that the skies do not become transverse. But do not bring to the point of absurdity. If your skis still “bites”, then move the bindings back and work on changing the turn in the course. But the course is primary for adjusting the position of bindings. In free descents it is necessary to wean from the “natural” turning radius, to go not just steeper, but on inner sensations much steeper. And sharper. This mainly applies to two segments of the arc. The first is the transfer of legs from the turn to the turn, you need to do this as quickly as possible. The second – the entrance to the turn, that is, immediately after the transfer of legs. You need to do it as short as possible and without pause. In the course, on the contrary, you do not need to go as in a free descent (trying to smoothly write arcs). And do not make pause near the slalom pole! In a free descent you need to try so that in “internal coordinate system” each turn ends across the slope. And it is better that the skis even come up to the hill, as described in the note “Slalom, work on the technique in the 2017 season. Shorten the arc“. It should be noted that in the “external coordinate system” there will be no turning across the slope, it is clearly visible in the traces. If you get 45 degrees – well.